You are here: News / Kristin to Host "A Very Wicked Halloween: Celebrating 15 Years on Broadway"
Kristin to Host "A Very Wicked Halloween: Celebrating 15 Years on Broadway"
Kristin is excited to announce that she is heading back to Oz for NBC's "A Very Wicked Halloween: Celebrating 15 Years on Broadway" Special. The musical event will air on NBC on Monday, October 29 at 10pm/9c. Kristin will host the special alongside Idina Menzel, reuniting the original Glinda and Elphaba. Other performers include Ariana Grande, Pentatonix, the current cast of Wicked, and many more. 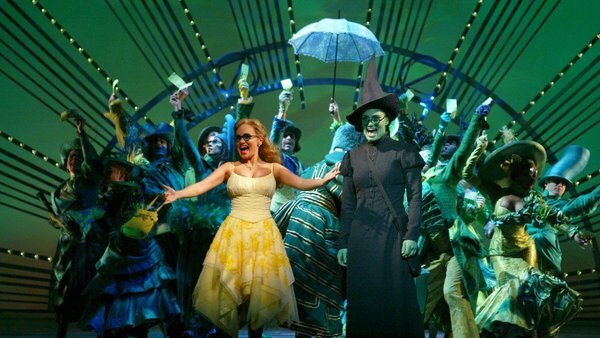 Be sure to tune-in to celebrate fifteen years of Wicked on October 29!